Exceptional customer service is at the heart of what we do. 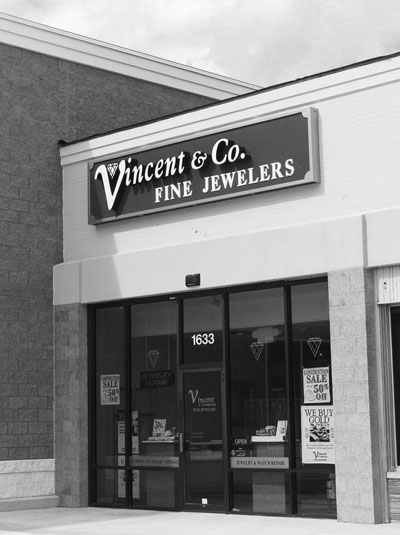 Since opening in 2001, we, at Vincent & Company, have established a reputation for providing exceptional jewelry sales and service for our customers . As an independent jewelry store, we believe exceptional service is more than just a sale; it's about truly knowing our customers and assisting them with any project they might have for us. Stop in and let our family take care of all of your jewelry needs. Conveniently located in the Lancaster Shopping Center. We believe jewelry should be as unique as you are. Talk to us about our full range of custom design services.